If you have compromised teeth, dental crowns in Boca Raton can restore their health, appearance, and function. 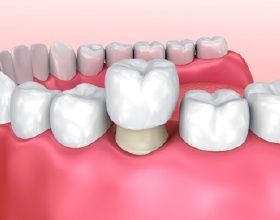 The restorative procedure involves placing a custom-made cap over your tooth. This helps to protect its integrity. Now, they can be customized to look like a real tooth using all-ceramic materials, so they blend in when you smile. If you need a dental crown, do not turn to just anyone. Benefit from the experience and qualifications of a prosthodontist, Dr. Steven H. Feit. Although many general dentists provide crowns as part of their services, it is often best to see a prosthodontist. They have undergone additional training to specialize in treating and handling complex dental and facial issues. Not only do they have in-depth understanding of how to rehabilitate a damaged tooth, but also how to improve its appearance. In addition to earning his dental degree, Dr. Feit also has 30 years of experience as a prosthodontist. Due to his extensive training and experience, he can save your tooth from an extraction. Crowns are quite versatile, allowing them to be used for several purposes. Most often, they are used in restorative dentistry to reinstate the health of a tooth, like one that has suffered a large break or has significant decay. It is not uncommon for them to be used in combination with other procedures as well, like root canal therapy or with a dental bridge. Now, they are even used in cosmetic dentistry because they can be customized to look natural. They can even prevent a weakened tooth from breaking by providing an added layer of protection. To have one placed, your tooth is reshaped, and an impression is taken to design your crown. 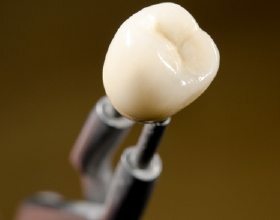 It is crafted with precision and accuracy before it is bonded to your tooth. With the right care, your crown will last for an average of 10 years before needing to be replaced. In the past, dental crowns were made from metals because they are durable and affordable. Although they remain an effective treatment, many people have now come to prefer those that are made from ceramics. All-ceramic crowns are highly customizable, allowing them to be crafted to meet your exact, size, shape, and color needs. They are hypoallergenic and do not cause your gum line to darken over time. Although they are not made from metal, they remain equally as strong to last for several years before needing to be replaced. Loss of tooth structure from stomach acids. Wear from bruxism or teeth clenching. Prevent a break from weakened structure. Aid the replacement of missing teeth. If you need a dental crown, do not choose just any dentist in Boca Raton. Choose the trusted and experienced hands of Dr. Feit to save your smile. Contact our office today to schedule your consultation.